This can is brutal 32oz / 946ml !! One of the biggest energy drink can! This size is the biggest known energy drink can (except the dark dog 5l party can). The Monster have other 32oz cans too, named BFC. The can design like a heavy metal concert. 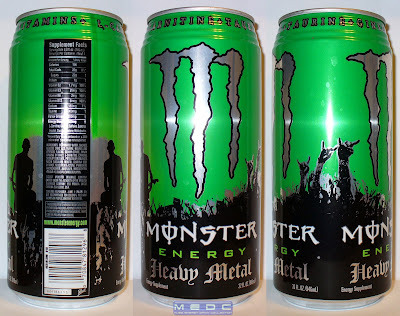 With this really nice green and silver monster logo, this can is one of the best design can from my collection! 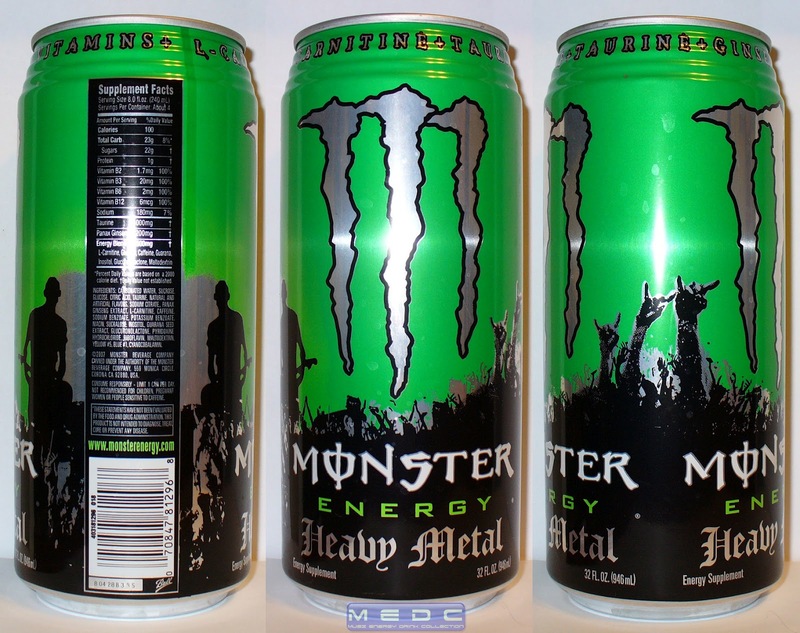 And its huge, i have only 6-7 32oz cans, only Monsters and Rockstar. The can have normal top, not twist top, like the DUB edition, what I review later. 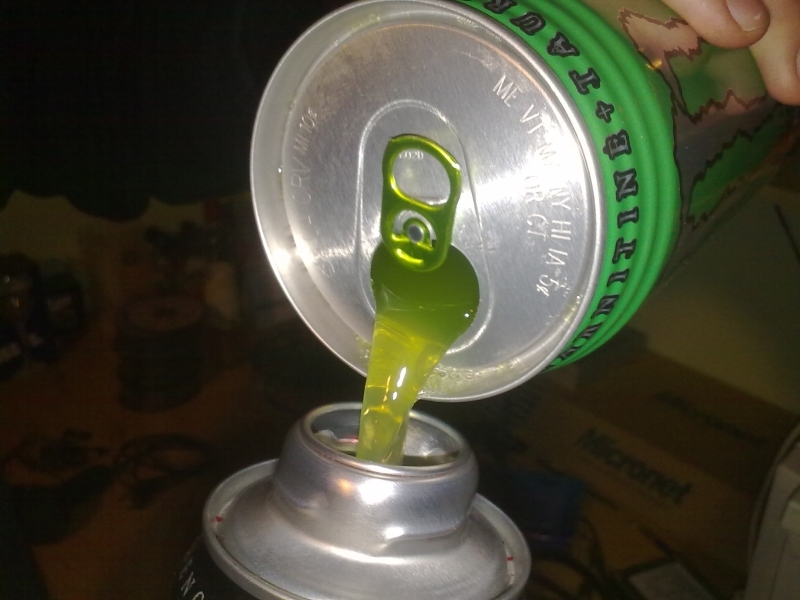 The cans have gradual top, whats makes this can looks more bigger!